Natalie is the Director of Learning Enrichment at St Catherine’s, a local day and boarding school for girls. In this position she is responsible for learning support, gifted and talent, and EAL students (English as an additional language) from Kindergarten to Year 12. Natalie originally trained as a secondary Visual Arts and History teacher. After working with students with emotional and behavioural disorders she decided to specialise in the field of Special Education. Natalie has completed a Graduate Diploma and a Masters in Special Education and has taught in this field for eighteen years. Her post-graduate studies enabled her to research more closely the comorbidity of learning difficulties and depression. 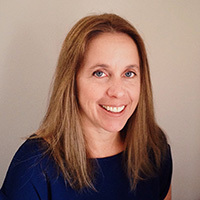 She also recently completed a Graduate Certificate in Gifted Education, which has enabled her to follow her passion and cater for twice-exceptional students (those students with high potential and a diagnosed disability). Our clinic is 3 minutes walk from Bondi Junction Railway Station via Grafton and Grosvenor Streets. Paid parking with early bird all day rates are also available at: 79–81 Grafton Street, Eastgate, and Hollywood Avenue Carparks.